A person who irritates you is always the one who loves you very much but fails to express it..
Grownups are so tiresome. They fake their smiles all day long and they try to force us to do the same. It's no fun at all. Being crazy doesn't annoy others that understand it, it annoys only the ones unwilling to try and understand. The annoying thing about someone breaking your heart is the fact that you still love them. Don't argue with an idiot; he/she will drag you down to his level and beat you with experience. 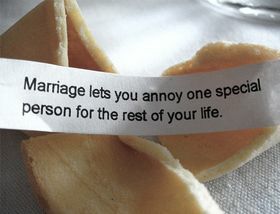 Yes, there are many annoying people who have no other intention than to annoy others. Some of them are intentional while others are unintentional. Offering advice to others, especially to those who do not care for them, is highly annoying. Advice is offered free of cost and the irony is that most of the people who offer advice do not practice it in real life so, hearing such advice is annoying. Similarly certain people have annoying behavior like, talking loud, interrupting the conversation between two persons, indecent manners and so on. Annoying people can never be corrected unless they realize their bad behavior. Oscar wilde once said, “If there is anything in the world more annoying than having people talk about you it uncertainly having no one talk about you “. It is also an annoying behavior to interfere in the personal and private maters of others. At least by reading these quotes, annoying people may take a lesson. So share these quotes.